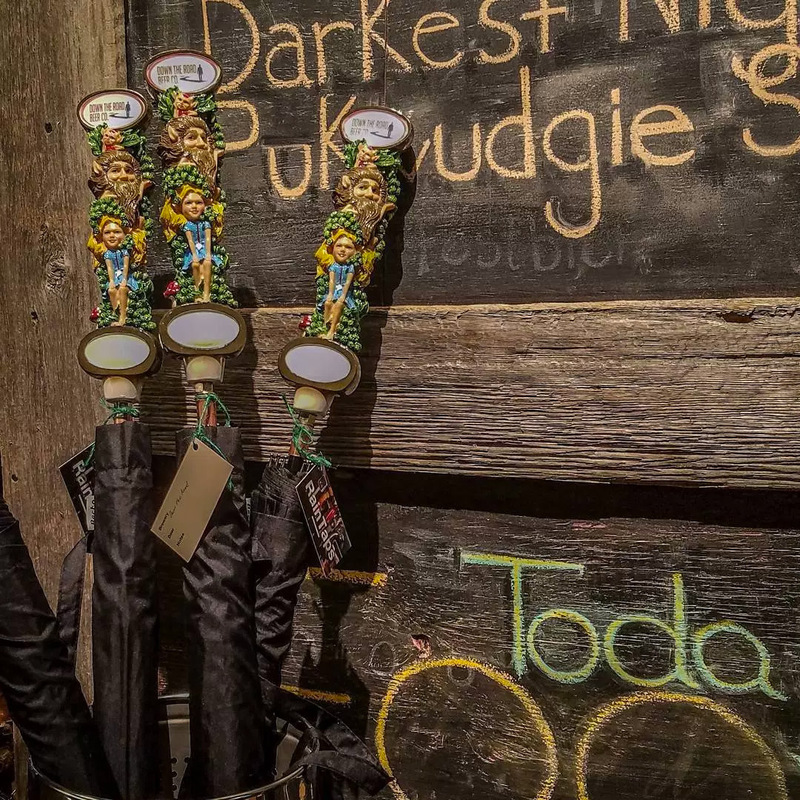 Nothing pairs better with a rainy day than an umbrella and a pint of beer. 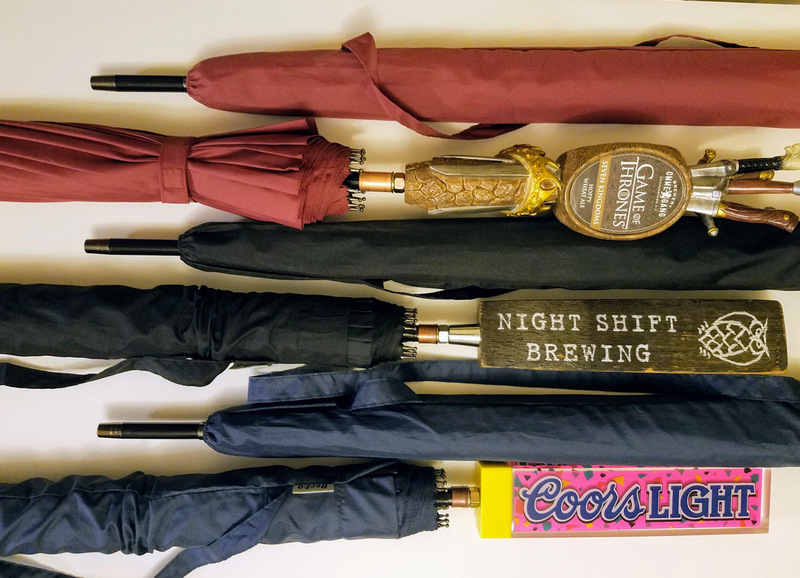 Ben Lewis' RainTaps add a creative twist to the matchup, repurposing real beer taps as the handles for his wet weather shields. Carrying a RainTaps umbrella will serve as a constant reminder of the sudsy reward that awaits at the end of your trek through the storm. Even if that trek requires pitstops at work, an hours-long wedding registry session at some department store with your fiancee, or your 8-year-old future nephew's piano recital before the reward gets within reach. 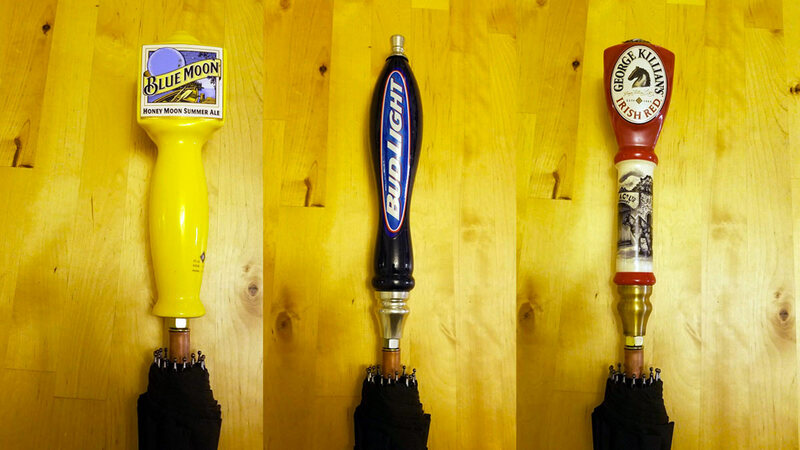 Lewis transforms all of his beer tap handles into RainTaps by hand in Somerville, Massachusetts. He uses classic, or stick umbrellas as his medium, which you can think of as "ideal for one lonely person walking all alone in the rain or one person that's hogging the dry area with the other person desperately trying to keep up with them." Beer tap handles span the spectrum in beer type and handle style. There's ample representation of all of your major American beers, from Budweiser to Miller to PBR, plus big-name imports and regional brews, such as Blue Moon, Magners, Pyramid, and Sam Adams. 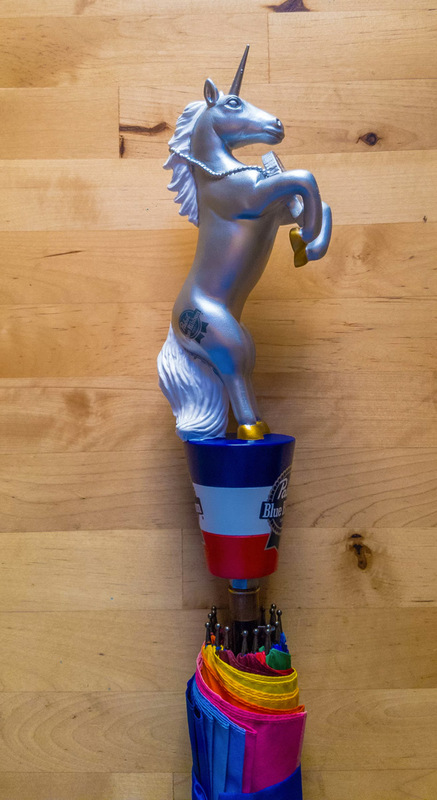 RainTaps even has a unicorn umbrella, thanks to PBR's release of the beast-topped handle as part of its show of appreciation for the city of Portland, whose extensive hipster population was apparently key in making Pabst a buzzy brand again. If you have a special request, or a beer tap handle you'd like Lewis to umbrella-fy for you, he'd be happy to oblige.